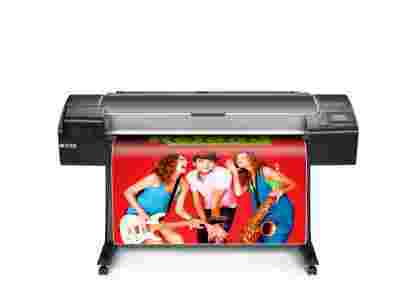 The 44in large format HP Designjet Z5400PS comes fully equipped with HP ePrint and Share, Print from Email, Print from USB and Print via browser. The Z5400 provides accurate colour consistency for reliable operation. Gain impress colour and true versatility with the new HP Designjet Z5600, designed to print a wide variety of applications for photos, GIS, canvas and technical drawings. Printing has never been so easy, using HP One Click printing software users can easily set up new jobs, press print and walk away. 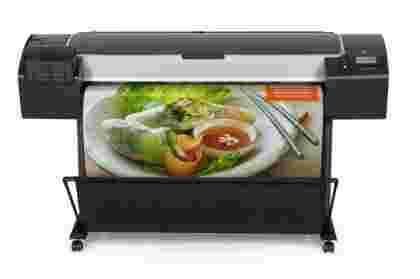 Lower operating costs and 20% more ink efficiency makes this one of the most cost effective 44in graphics machines on the market. 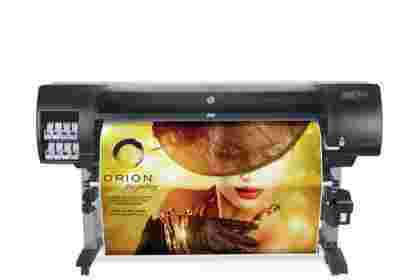 The fastest 60in production printer on the market is sure to boost your business. 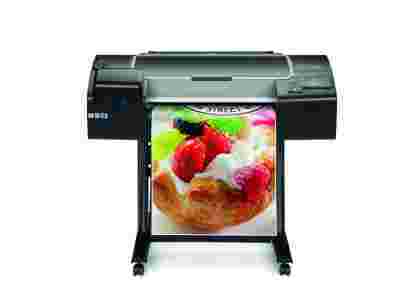 Its intelligent features allow it to print without human interaction, error free, making it highly efficient. 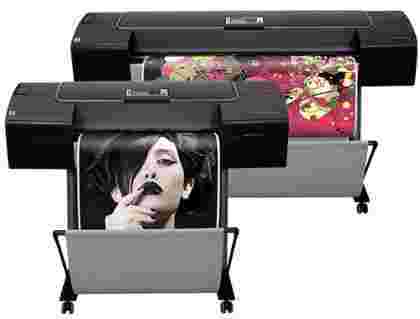 The high-quality prints can last up to 200 years, giving your clients real value for money. Its black and white prints are particularly impressive, thanks to the use of three different black inks. 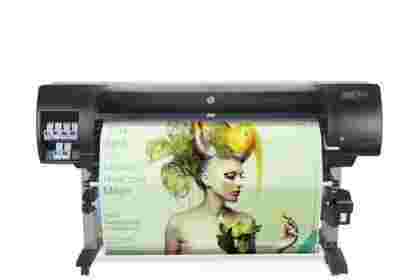 Plus, this printer is capable of producing a serving a vast number of industries, from retailers and event organisers, to professional photographers and artists. Produce a higher quality and variety of prints than ever before with the Z6800 production printer. 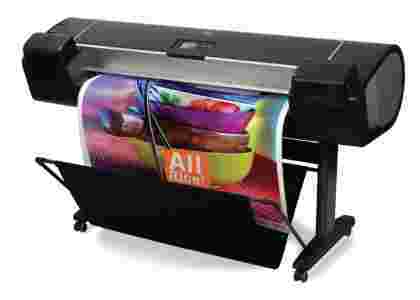 Print anything from line drawings and maps, to event graphics and digital fine art with ease and at an impressively high speed – this 60-in production printer is the fastest on the market for graphics. The three black inks and chromatic red ink ensure that whether you’re printing in black and white or full colour, your prints look fantastic and last up to 200 years without fading. 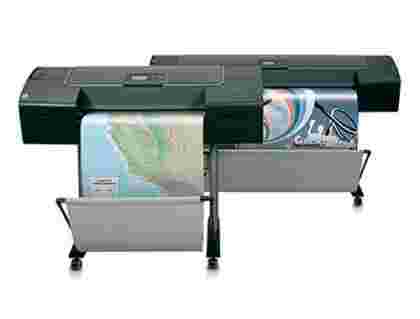 Fantastic value for money wireless large format solution with a large colour touch screen and walk through for configuration and day to day operations such as changing ink cartridges or rolls of paper. The new HP Designjet Z2600 brings impressive colour, lower ink consumption and easy printing with HP Designjet Click. Capable of printing on a wide range of media the pigment based photo inks are ideal for photos, canvas, GID and technical drawings. 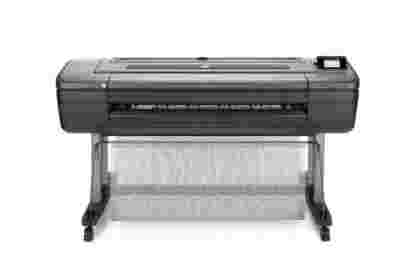 Lower operating costs and no maintenance cartridge makes this printer a cost effective alternative. 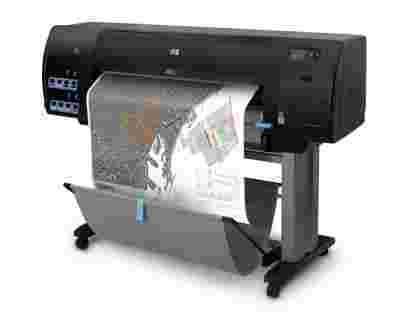 Add high-profit, large-format prints with this HP Designjet and watch business grow.